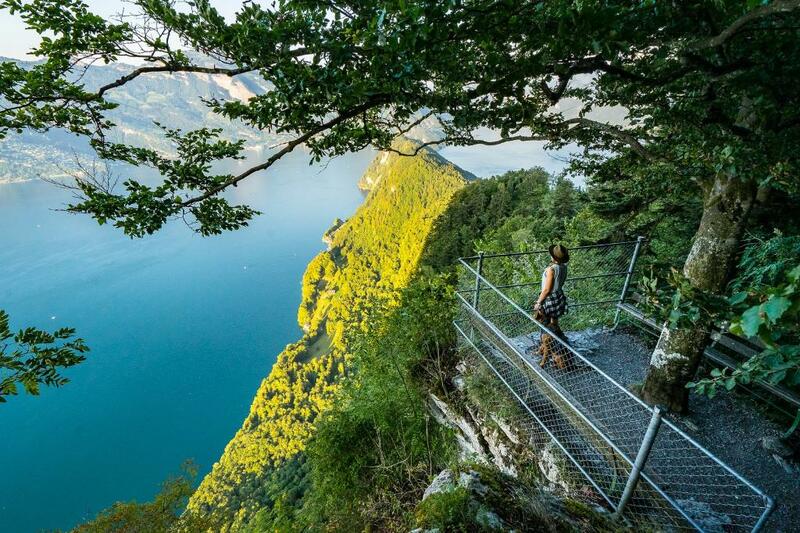 The cliff path, which takes you past striking rock ledges and beneath trees, offers incredible views of Lake Lucerne and the surrounding mountains. The walk makes an excellent half-day excursion from Lucerne. The arrival by boat and the Bürgenstock funicular railway alone are spectacular. The cliff path is not too demanding: the gravel path is well groomed and use of the Hammetschwand lift means next to no climbing is involved. The pure walking time is 1.5 hours, though you should allow for a little more for the numerous vantage points: you don't want to rush the marvellous views! The MS Bürgenstock catamaran provides a direct shuttle service between Lucerne and Kehrsiten–Bürgenstock. You then board the refurbished vintage funicular train for the short ascent to the Bürgenstock resort. 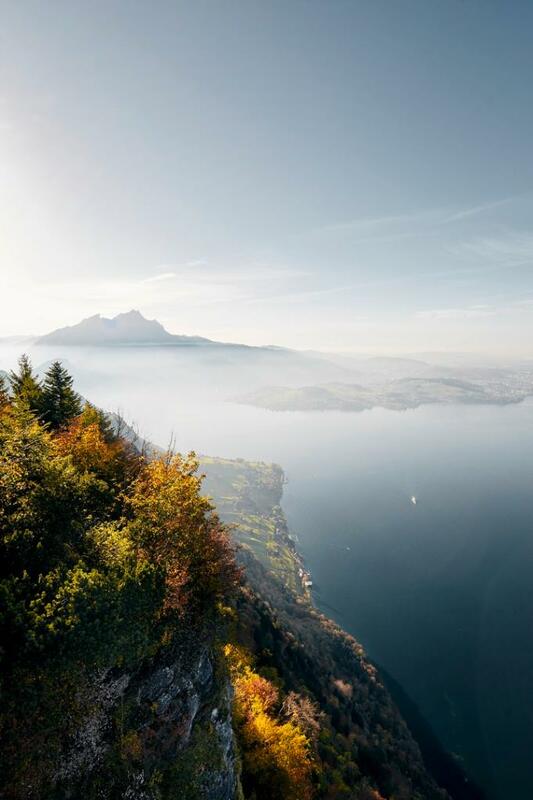 Once there, you have views of the sea of clouds or of Lake Lucerne. Either way, can you identify all the peaks you see? 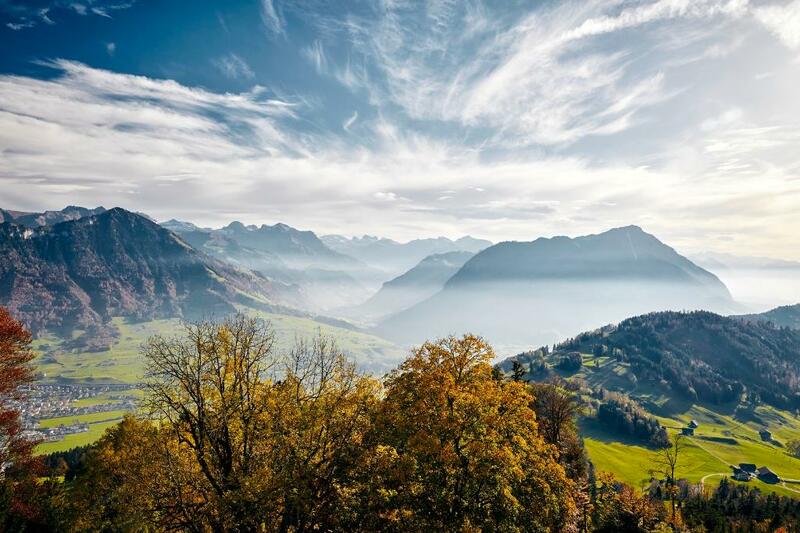 They include the Rigi, the Pilatus, the Stanserhorn, the Mythen and the Titlis. The high-end Bürgenstock Resort offers plenty of places for partaking in coffee and cake. 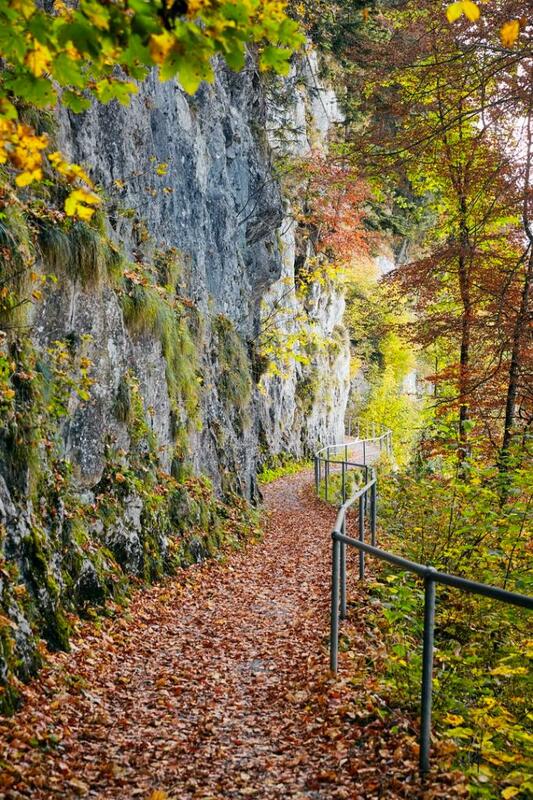 A scenic walk along the cliff path follows. It's provided with information panels and QR codes explaining the geology and history of the path, the Bürgenberg and the surrounding area. 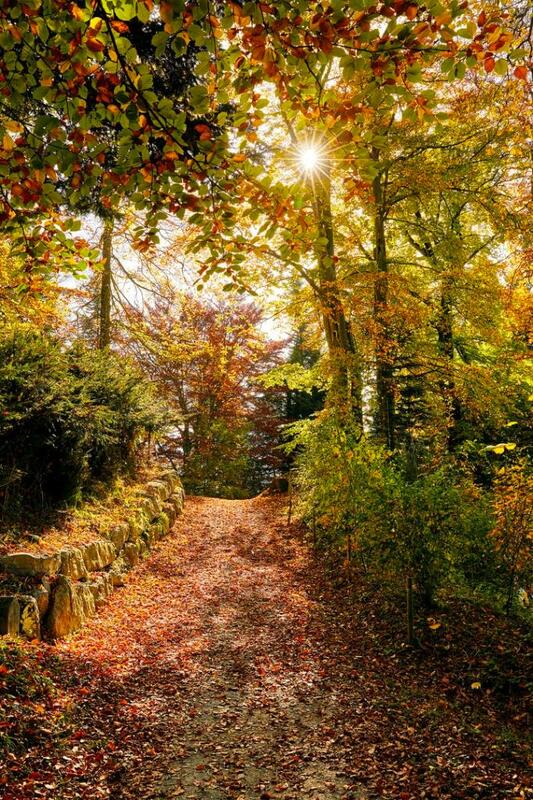 The path is lined with greenery that changes into bright colours in the autumn. 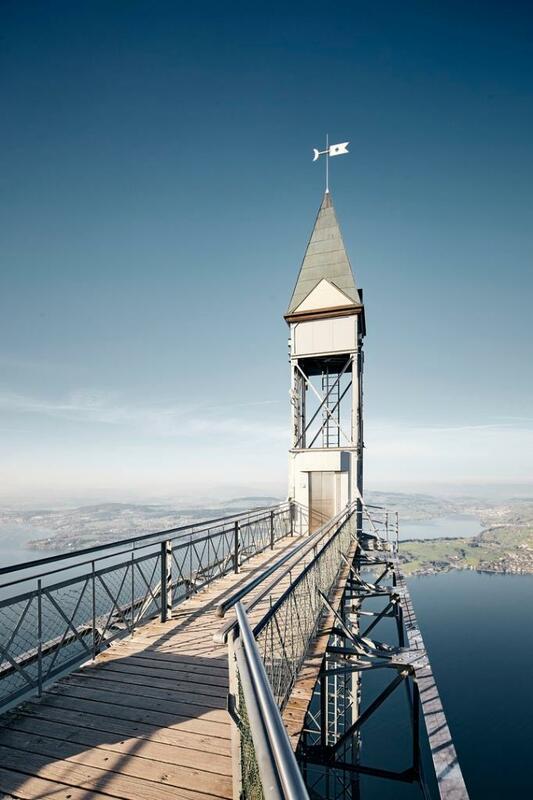 The Hammetschwand Lift is no great distance: Europe's tallest outdoor lift is a masterpiece of engineering from 1905. The ride in the lift and the platform above offer spectacular views once again. The path continues along the ridge and east side of the Bürgenberg before you reach the cliff path again. Between the bottom of the Hammetschwand lift and your destination (the start of the cliff path), your walk follows some of the same route as earlier. The return trip to Lucerne is either by PostBus and Zentralbahn railway, or you can take the funicular again and either the direct shuttle catamaran or a scheduled boat service. Some exposed stretches. A head for heights is an advantage. From Zurich, take the Stansstad motorway exit. If you're coming from the south (Ticino/Italy), take the Stans-Süd exit. Then follow the signs to "Bürgenstock". The 30-minute catamaran shuttle is the only direct waterborne link between Lucerne and Kehrsiten-Bürgenstock. 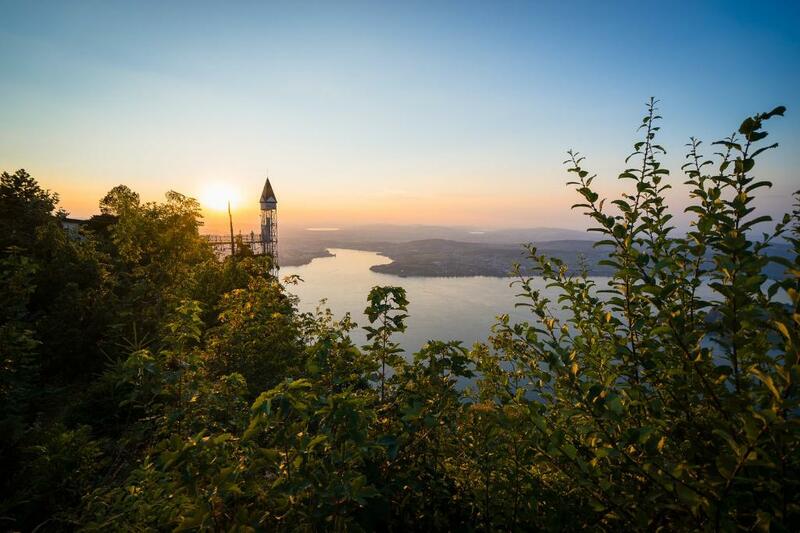 It operates between 6 a.m. and midnight all year round and connects with the Bürgenstock funicular railway to the resort. The cliff path, Hammetschwand Lift and Hammetschwand restaurant are closed in winter and in inclement weather.